The most popular promo tool is visible on Facebook to more than 1 million people per season and generates more than 1000 highly interested festival visitors each day. 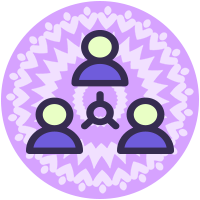 Exclusive ticket raffle promoted via Social Media and troughout the mushroom community with possibility to retarget participators with individual approaches. Professionally edited and search engine optimized articles aiming to feature multiple highlights of the festival. Individual e-mail send out delivered to a perfectly fitted target group with high interest in festivals and psytrance music. Displayed inside the popular website mushroom-magazine.com with geo targeting options. Take advantage of more than 330,000 mushroom facebook fans or optimally elaborated audiences inside the Facebook community with the help of social media posts and Facebook ads. 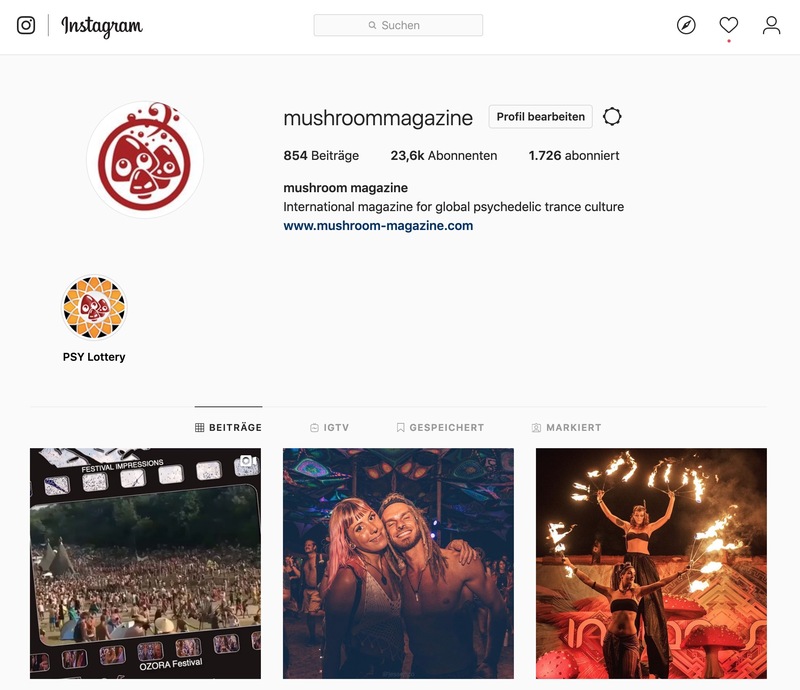 Benefit from mushrooms fast growing Instagram community to increase brand building with high interaction and engagement rates. 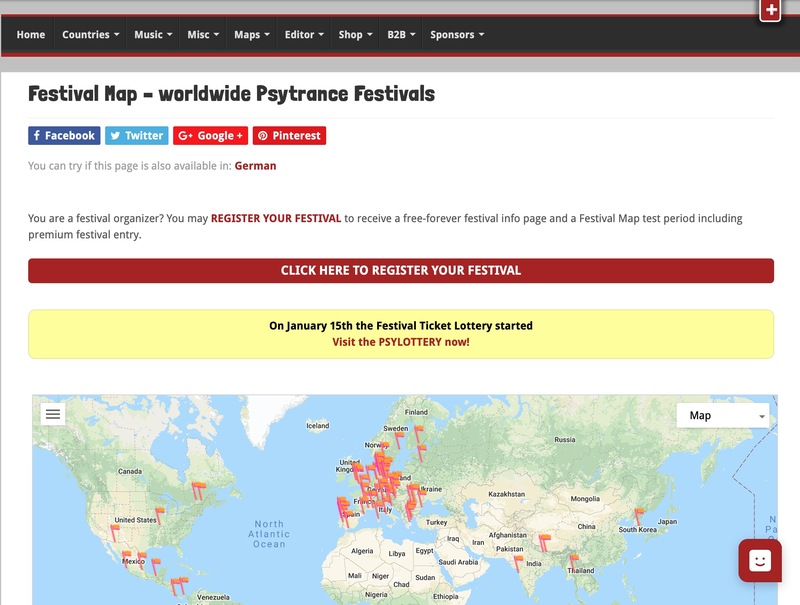 The Google Map with the most interesting festivals of the Psychedelic Trance community invites the users to explore and zoom in to new event destinations. 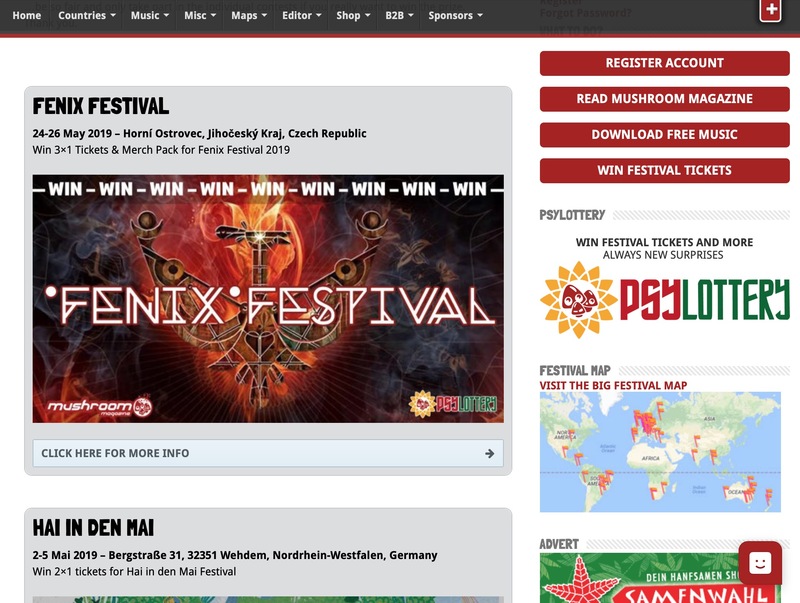 The geo pin on the Festival Map leads to a SEO optimized Premium Festival Info Page with lots of information, pictures, videos and the Facebook timeline of the organizer page. The Festival Map is promoted on Facebook to more than a million festival goers and has more than 1000 high interested visitors per day on the Festival Map itself. Possibility to poach Festival Map visitors who were actually looking for information about another festival. 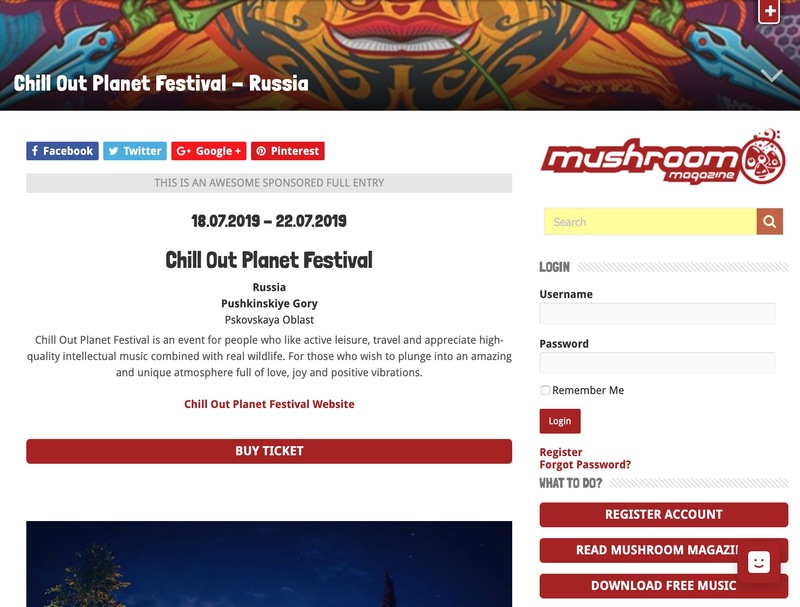 All events booked on the Festival Map get a top position entry on the Facebook event list of the mushroom Facebook page with more than 330.000 fans. The Festival Map is displayed as a sponsored ad on Google Search and is featured on thousands of websites on the Google Display Network. We work with high quality keywords representing over 200 international Psytrance festivals. You want to use this promotion? You want to start with a free-forever Festival Info Page and a free test of the Festival Map? 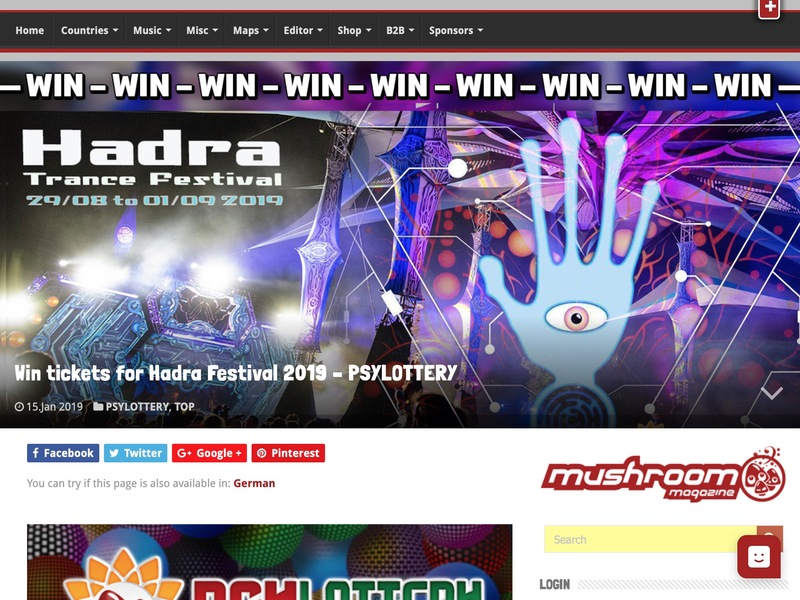 PSYLOTTERY is the new raffle platform, which enables new marketing strategies by tagging the participants in order to identify the interested people for each raffle. Possibility to retarget participants with individual approaches. All PSYLOTTERY participants are tagged and can be reached GDPR compliant with other marketing mails (e.g. time-limited coupon for the ticket shop). Already at the beginning of the new service the reaction rates were extremely high, comparable with 1000 likes on Facebook per raffle. All mushroom-magazine.com users will be informed about upcoming raffles. Subsequently, the participants of the raffle can be reached by an offer e-mail. 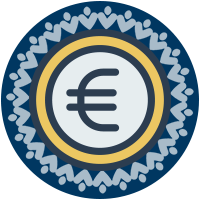 For an additional fee it is possible to collect user data in compliance with GDPR and import them into your contact database. 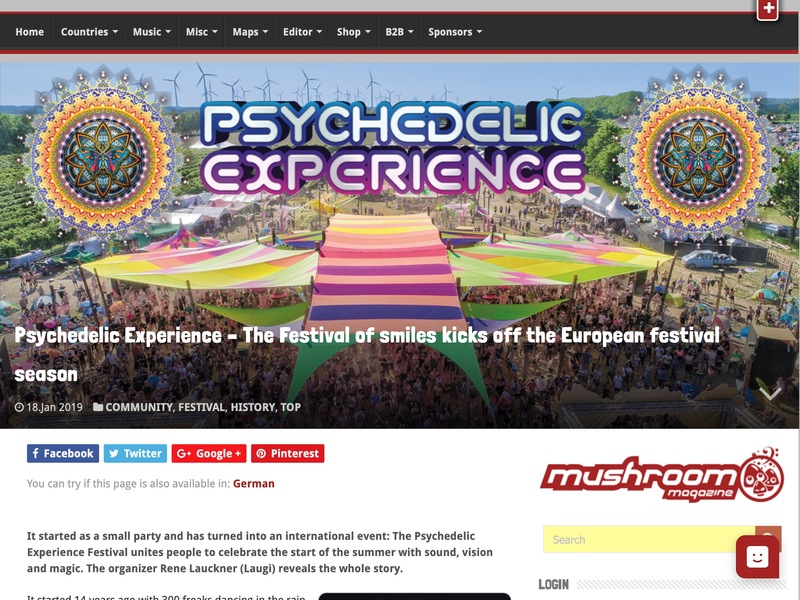 For each festival there is a separate Info Page, which is listed as a top article on mushroom-magazine.com as an informative starting point for the raffle. The PSYLOTTERY is constantly promoted throughout sponsored Facebook posts. 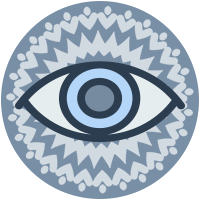 Personally researched and professionally written articles that are beautifully presented. Comprehensive selection of topics to all relevant news regarding the festival published in successive articles. Search engine optimized content to be listed on Google top position. Published via Facebook to the mushroom Facebook community with optional sponsored postings. Through the use of dedicated e-mail servers and the programmatic control of the e-mail funnel, we achieve high opening rates. 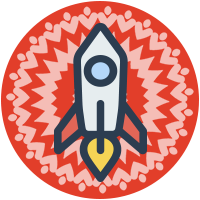 Create high-converting landing pages to turn prospects into customers. 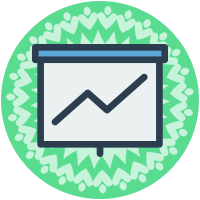 Highly specific follow up email campaigns to increase interest even further. React to the activities of interested visitors and follow up their activities. Take advantage of more than 330,000 mushroom facebook fans and optimally elaborated audiences inside the Facebook community with the help of social media posts and Facebook ads. Sponsored posts are particularly effective due to the extended targeting possibilities of the mushroom community (e.g. tracking festival map visitors). The Facebook pixel set on mushroom-magazine.com allows the tracking of visitors. We make the audiences created from this traffic data available to our customers. 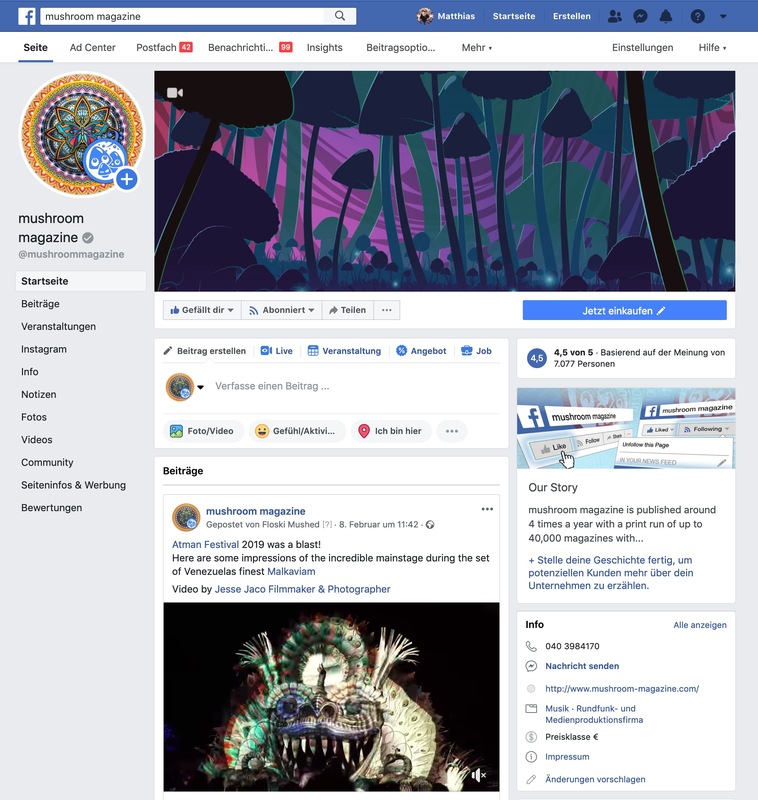 All partner festivals are listed as events on the mushroom magazine Facebook page. Show your festival in Google Ads using the best performing keywords. 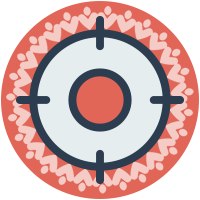 Reach the right people by targeting the relevant target group for the festival.